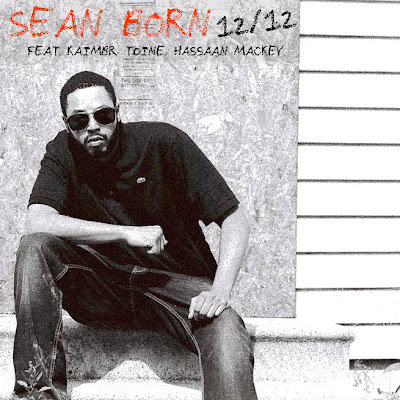 Here's a bonus cut from Sean Born featuring some cats very familiar to the mic produced by Maryland's own Kev Brown. A gritty 90's style album for those who grew up on Illmatic, Midnight Marauders, Only Built for Cuban Links, Moment of Truth, and Ready to Die. Behind The Scale is unfiltered, real sh*t on tape. Sean Born "Behind The Scale"
Marcus Canty - "Won't Make A Fool Out Of You"
What I'm Watching: Malicious "Drop"
What I'm Watching: PRO'Verb "GRAVITY"
What I'm Watching: Eddy B & Tim Gunter "Tomorrow"
NEW RELEASE: Chuuwee "Crown Me King"
PremRock & Talpas "Love of the Drum"
Diatonic x TMB Presents "STEREOPHONIC"
What I'm Watching: K.Raydio "The Way It Goes"
What I'm Watching: SigNif "Like My Style"
What I'm Watching: Grumpy Old Men "Free Lunch"
e.d.g.e. x The Freshest "80's Baby"
What I'm Watching: @Blacastan - "Funny Faces"
What I'm Watching: Chuuwee "Le Père Du Peuple"
NEW RELEASE: Dave Raps "AKA Dave Ruffin"
What I'm Watching: Chuuwee "West Francia"
What I'm Watching: Sene "The Feel Reel"
What I'm Watching: Mike Jaggerr "Away"
Download: MacGuyver - "The Rum Diary"
What I'm Watching: Phil Adé "Gone!" NEW RELEASE: FreshNerd "The Hasselhoff Beat Tape"
Madden Miles "Ain't Love Easy"
What I'm Watching: Escape Artists "On and On"